How to customize PUBG PVC Patches? Now there is a game that is popular all over the world and is popular with men, women young and kids. You may not play the game, but you must know it, it is PlayerUnknown’s Battlegrounds. The abbreviation for PlayerUnknown’s Battlegrounds is PUBG. This is a multiplayer online game “royal war game” developed and released by PUBG, a subsidiary of South Korea’s video game company Bluehole. Due to the popularity of the game PUBG, its peripheral products have also been sought after by game enthusiasts. And the elements in the game are gradually integrated into everyone’s daily life. 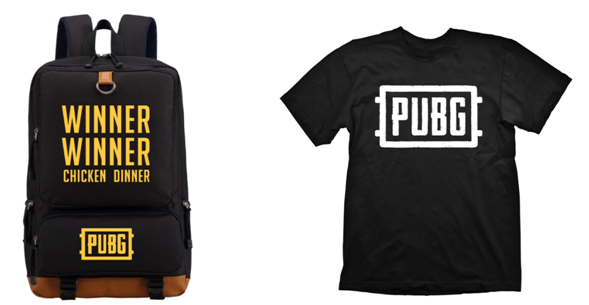 Just like the backpacks and clothing in life, the clothing printed with PUBG logo can show your love for the game, and you can tell the people around you that you are a PUBG game enthusiast. If you want to buy all the peripheral products in PUBG games, or buy clothing with PUBG logos and patterns, you may spend a lot of money to buy them, because there are a lot of props in PUBG games, so you can only buy a few pieces props selectively. In order to buy more peripheral products, PUBG PVC patches are a good choice. All the props in the PUBG game can be made into PVC patches, made into props’ patterns and shapes, and can also be made into 3D PVC products, such as various models of guns, game logos, various drugs and so on. If you customize all the PUBG props into PVC patches, it is both a fashionable ornament and a collection of collectibles. All the props made of PVC patches can realize the virtual game in reality, which is safe and non-toxic, and is more suitable for children to play. PVC patches not only have low cost, but also have many advantages such as waterproof, wear-resistant, bright colors, non-deformation, and discoloration. PVC patches are not only made into 2D products, but also made into 3D products. PVC patches can be sewed on the back of the patch, which is more suitable as a decoration on the garment. You can sew the other side of the Velcro on the clothes, and then you can easily paste the PVC patches and replace different PVC patches easily. Paste your favorite game PUBG logo on your jacket sleeves. It is a good-looking badge and a display of your identity as a game enthusiast and a game player. Other game props in PUBG can also be attached to backpacks and hats as a nice decoration that is both stylish and beautiful. PVC materials can be used not only to make PVC patches, but also to make hard 3D PVC keychains. 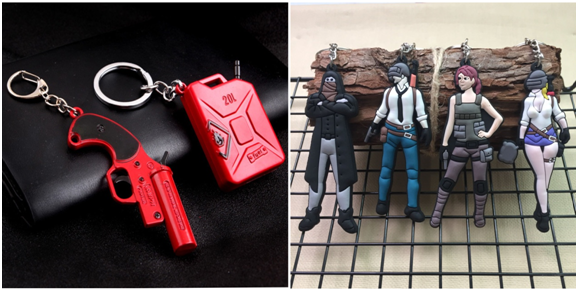 The signal gun and oil drum in the first picture below are hard 3D PVC keychains. The hard 3D keychain is closer to the real product, not soft and not deformed. The shape of the game PUBG characters in the second picture are soft 3D PVC keychains. The soft PVC keychain costs less than a hard PVC keychain because of its simpler process and the soft PVC keychain is very soft and can be folded at will. The PUBG props’ PVC keychains can also be hung on schoolbags, backpacks, keys, etc., and can also be used as gifts and collectibles for yourself and friends. 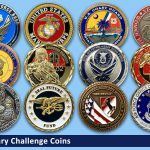 Is it possible to collect all the PUBG game props and you will be able to win the game? If you are a PUBG game enthusiast, you definitely want to collect a set of your own PUBG game equipment. If you are not a game enthusiast, you could send a set of PUBG PVC patches to your partners who are the PUBG’s enthusiast, he will be very happy. Or you can place an PVC patches’order according to your needs. GS-JJ Company is a manufacturer of PVC patches. We provide our customers with high quality and low price custom PVC patches. 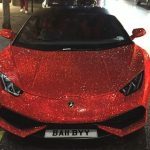 Welcome customers to come and buy. Hope you will get Winner Winner Chicken Dinner! ← Pick Up Amazing Belt Buckles!